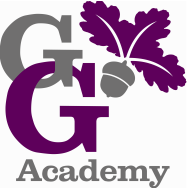 At George Grenville we believe that happy confident children learn well. To achieve this, children’s learning is presented in a way that is exciting and challenging whilst building on their existing knowledge and understanding. We work together with parents and carers, to develop children’s lively enquiring minds. The exciting curriculum we offer is varied and enriched by many visitors to the school. Through breadth and balance we aim to meet the children's individual needs, catering for all abilities ensuring each child is challenged. We make full use of our beautiful location and get involved in many local initiatives. Our rounded curriculum develops the whole child. Children are encouraged to participate in a wide range of activities including, music, art, drama ﻿and﻿ sport. We offer numerous extra-curricular clubs and activities. The children have the opportunity to learn instruments, participate in school productions and take part in county sports. Choosing the right school for your child is one of the most important decisions which you will ever have to make; therefore I hope that the information on our website will help you in your choice. I also hope that you will come and visit our exciting school! You will find it to be a friendly and welcoming place where every child is encouraged to success to their full potential! I am always available to talk to any prospective or current parents, so if you have any questions about the school, please do not hesitate to contact me. I look forward to welcoming you and your child to Grenville in the near future.